The Philippines electric two-wheeler market is predicted to grow at 6.1% CAGR during the forecast period in terms of revenue size. The Philippines market is primarily driven by the rapidly growing due to the efforts of the non-government and government organizations. Different products including e-scooters and e-bikes are majorly contributing to the electric two-wheeler market size in the Philippines. Based on product, the market is categorized into e-scooters, e-bikes, e-motorcycles and others. E-scooters hold the largest share in the Philippines market, in terms of revenue as well as fleet size. E-motorcycles are anticipated to witness the fastest growth during the forecast period. On the basis of battery type, the market is segmented into sealed lead acid, Li-ion, and NiMH. Of all, sealed lead acid is the most common type of battery used in the electric two-wheelers in Philippines. Lower prices are the primary reason behind the highest share of sealed lead acid battery in the Philippines electric two-wheelers market. Based on voltage, the market is segmented into 24V, 36V, 48V, 60V, 72V. Of all, 48V electric two-wheeler hold the largest share in the Philippines electric two-wheeler market, followed by 36V two-wheelers. Most of the e scooters run with a battery of 48V which provides it optimum power to perform better in the congested metropolitan cities of the country. 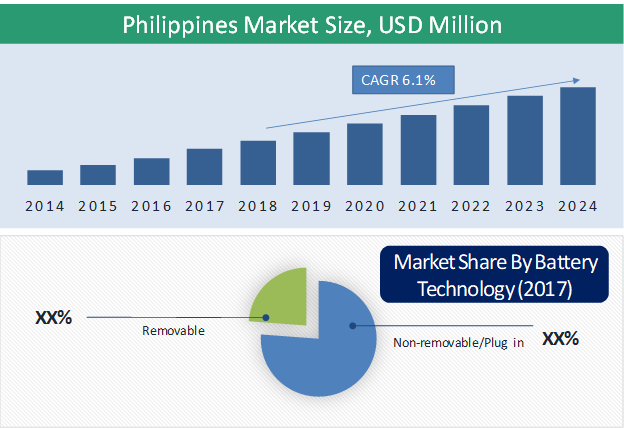 The Philippines light electric vehicles market is rapidly growing due to the efforts of the non-government and government organizations. The Electric Vehicle Association of the Philippines (EVAP) plans for a national development program for electric vehicles that is anchored on the existing Motor Vehicle Development Program for the automotive industry. As per the association, this is to be implemented in four (4) phases of within a ten-year period. The first phase (2013) is the launch of the program, including technology upgrading needed by the industry. The second phase (2014 to 2015) involves the build-up of the local market and enhancement of its production capacity. 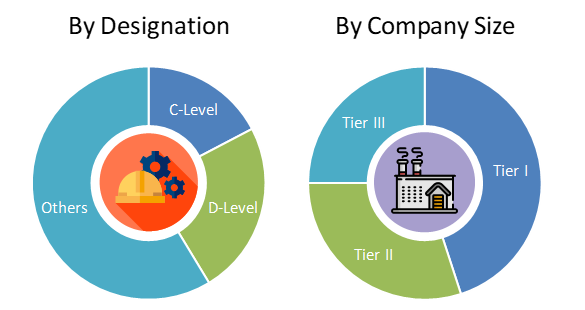 The fourth phase (2019 to 2023) will be the full integration, regional and global, developmental evolution in technological advancement and market size up. Xiaomi Inc., Gxsun corp., Terra Motors Corporation, Tinker Motors Inc., and Dongguan Tailing Electric Vehicle Co. Ltd. are some of the key players operating in the Philippines electric two-wheelers market. 6.5. Dongguan Tailing Electric Vehicle Co. Ltd.
Table 20 Snapshot – Xiaomi Inc.
Table 21 Snapshot – Gxsun Corp.
Table 23 Snapshot – Tinker Motors Inc.
Table 24 Snapshot – Dongguan Tailing Electric Vehicle Co. Ltd.
Dongguan Tailing Electric Vehicle Co. Ltd.